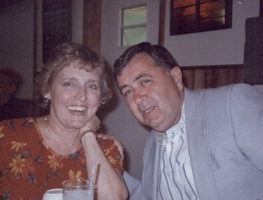 Provide comfort for the family of Barbara Dowling with a meaningful gesture of sympathy. Barbara Ann (Skiffington) Dowling, 79 of North Adams, MA passed peacefully Thursday February 21, 2019 at Berkshire Medical Center. She was born in North Adams, MA on March 20, 1939 daughter of William and Dorothy Louise (Yorke) Skiffington. She attended Freeman School and graduated from Drury High School with the class of 1957 completing its business program. 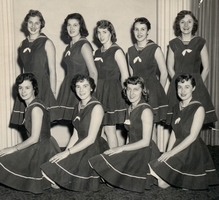 While in high school, Barbara was the captain of the cheerleaders; was a member of the Nu Sigma Society and Pro Merito and was a member of the Exchange Club and yearbook staff. Barbara was last employed as the administrative assistant to the Superintendent of North Adams Public Schools. In her younger years, she worked at Cascade School Supplies and General Electric Co, and also worked at the election polls. She was a communicant of St. Elizabeth of Hungary Church and had been a member of the former St. Francis Choir. Barbara served on her high school reunion committee for 50 years and was a co-founder of the Freeman Girls Group. She was a loving wife, mother and grandmother who especially enjoyed going to all of her grandchildren's sporting events, dance recitals and activities. She never missed a game. Barbara was a kind person and was loved by all. She married the love of her life, Mike Dowling on October 8, 1960 and besides her husband is survived by two daughters- Kelly A. Dowling Bohl and her husband, Harold of Brewster, MA; and Jennifer L. Dowling Morgan and her husband, Daniel of North Adams and her son, Michael Francis Dowling III and his wife, Jennifer of Stamford, VT. She also leaves seven grandchildren including Brian Dowling and his wife, Makayla; Kierstyn Bohl, Jared Bohl and his wife, Kaysie, Kevin Dowling, Aimee Dowling, Ethan Morgan and Ella Morgan; and two great grandchildren including Logan and Addison with one on the way; and two brothers including Frederick "Skip" Skiffington of North Carolina and William Skiffington of Oklahoma and nieces and nephews. She was predeceased by her brother Robert Skiffington. To send flowers in memory of Barbara Ann Dowling (Skiffington), please visit our Heartfelt Sympathies Store. Provide comfort for the family of Barbara Ann Dowling (Skiffington) by sending flowers.